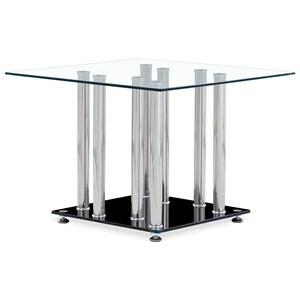 This modern coffee table is made of tempered glass and is finished in black. 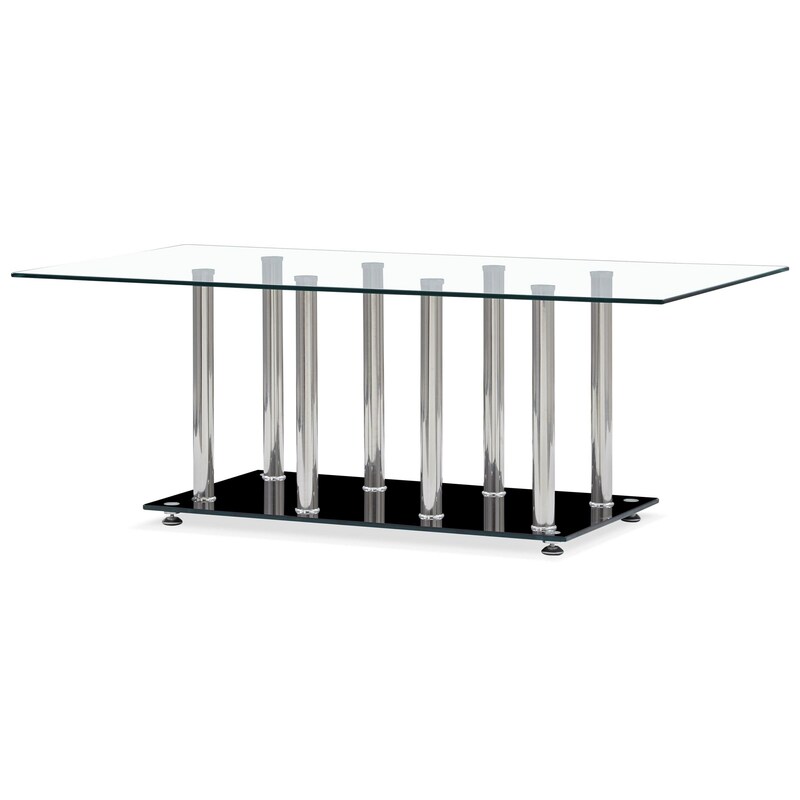 The chrome accents makes this table a focus point for any living room. The T368 Tempered Glass Coffee Table With Chrome Legs by Global Furniture at Value City Furniture in the New Jersey, NJ, Staten Island, Hoboken area. Product availability may vary. Contact us for the most current availability on this product. Browse other items in the T368 collection from Value City Furniture in the New Jersey, NJ, Staten Island, Hoboken area.